NASA is preparing to unpack Bigelow Expandable Activity Module (BEAM) - described as "first human-rated expandable structure that may help inform the design of deep space habitats" - which arrived at the International Space Station (ISS) last Sunday aboard a SpaceX Dragon resupply vehicle. 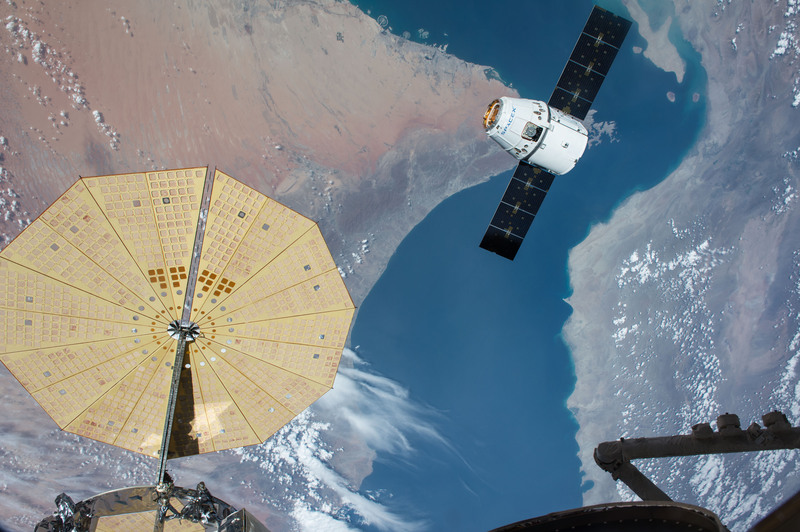 On Saturday, ground controllers at NASA's Johnson Space Center will use the orbiting outpost's robotic Canadarm2 to manoeuvre the inflatable podule towards the station's Tranquility node. ISS crew will complete the mating using "common berthing mechanism controls". In its packed state, the 1,400kg BEAM is 2.16 metres long, 2.36 metres in diameter and with a volume of just 3.6m3. Once fully engorged, it'll be 4.01 metres in length, with a maximum diameter of 3.23 metres and a volume of 16m3. However, it won't be inflated until the end of May, after which astronauts "will first enter the habitat about a week after expansion and, during a two-year test mission, will return to the module for a few hours several times a year to retrieve sensor data and assess conditions". NASA is principally concerned with how well BEAM "protects against solar radiation, space debris and the temperature extremes of space". Regarding the risk of a puncture, NASA quantifies that as "extremely low". BEAM is comprised of, from inside to outside, an air barrier (bladder), structural restraint layer, micro-meteoroid and orbital debris (MMOD) layers, external multi-layer insulation (MLI) and an exterior silica fibre cloth (BETA cloth). In the unlikely event of a breach, BEAM will slowly deflate, rather than popping like a balloon, the space agency assures. Once the test wraps in two years, BEAM will be cut loose from the ISS and end its days as a ball of fire in Earth's upper atmosphere. Bigelow's long-term plans for the pump-up tech include the B330, which might one day "support zero-gravity research including scientific missions, manufacturing processes, a destination for space tourism and a craft for missions destined for the Moon and Mars".